Climate Masters, Inc. Heating and Cooling is proud to serve the Valley Park community! About Valley Park, MO - Happy to be your hometown Heating & Air Conditioning Contractor! 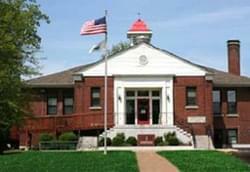 Valley Park is located in St. Louis County, Missouri, and according to the 2010 census the population was 6,942. This city is made up of 4.02 square miles of total area, and all but 0.22 square miles of it consists of land. The Valley Park School District serves about 1,000 students and is found in the southwestern corner of St. Louis County. This city is known for having four distinct seasons with spring being the wettest season. Summers are typically hot and humid. There are a variety of attractions located in and around Valley Park for residents and visitors. The Museum of Transportation is located in this city, and the World Bird Sanctuary is found within Lone Elk Park. In addition, a variety of outdoor attractions and locations are found in this city, including Meramec Landing along the Meramec River, Buder Park, and Simpson Park.